Here is a lesson plan I developed. 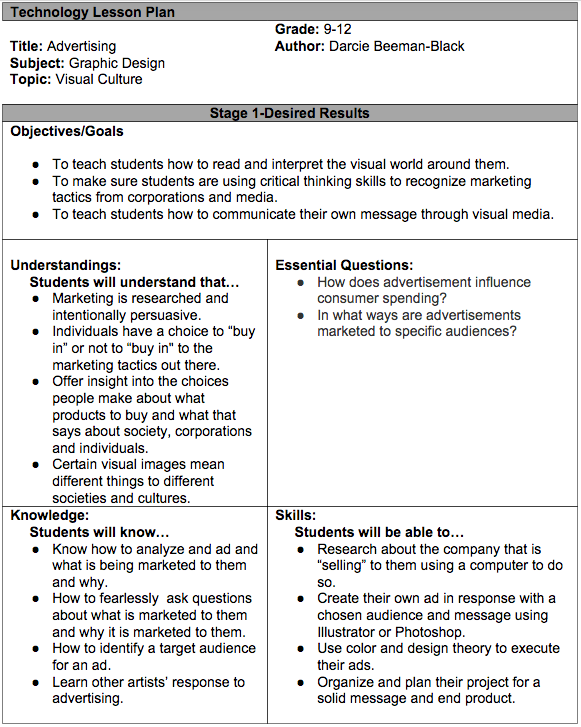 This is a visual culture lesson plan with technology integration. Click on the preview below to see the complete lesson plan.